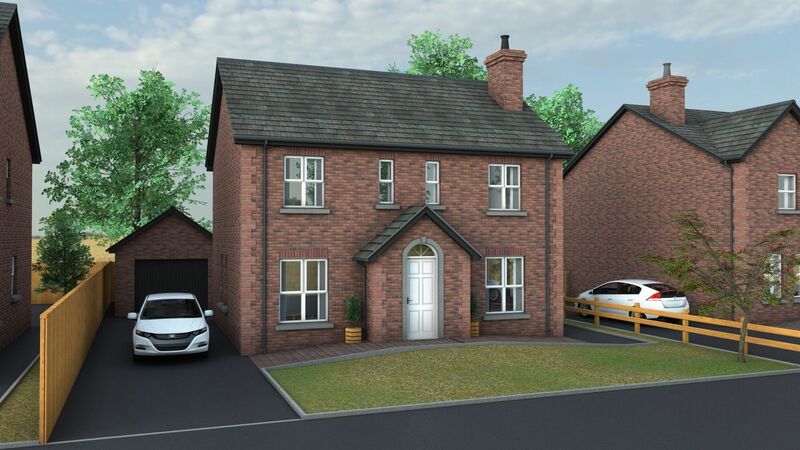 The Aspen is a distinguished c.1593 sq ft detached family home. External finish is a desirable combination of slate and brick work. It offers spacious and flexible ground floor living comprising of, a living room with feature fire place, dining room, large kitchen/dining and the all essential utility room. Upstairs you have the luxury of 4 spacious double bedrooms including the en suite master bedroom. Optional detached garage is available. Optional sunroom on some plots. Chrome Sockets throughout downstairs, blinds all windows.